The VIth Edition of Adventure @ Mechukha introduces for the first time, the curtain raiser event asCompetitive Angling @ Mechukha , which is all set for October 23rd and 24th. The target species for competition is Trout. So, bring on your fishing talent and win home an amazing sum. I would like to declare that I will abide by the rules and regulations that have been set for the competition and violation of which will invite penalty as decided by the organizers. 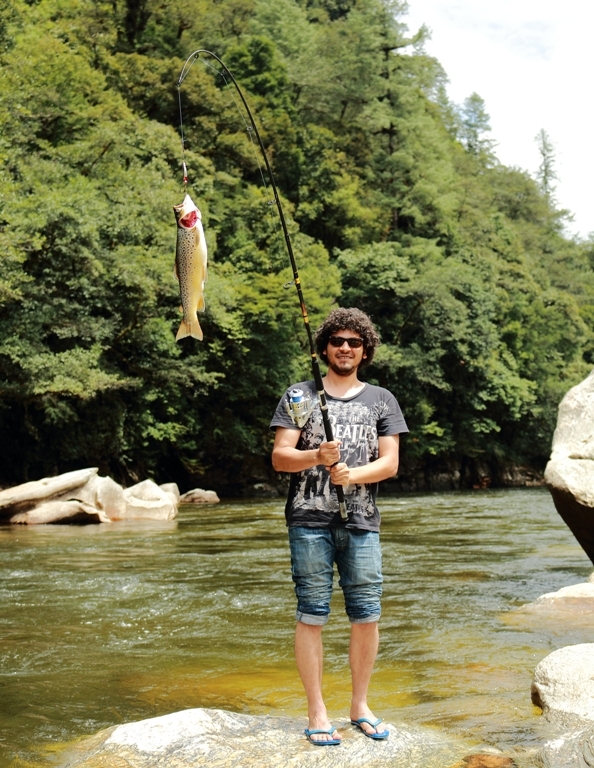 Participants should bring all required gears for fishing. The Committee will not issue any equipment to the participants. The time for competition will be fixed and no participant will be allowed to cross the time barrier. Otherwise his/her participation will get terminated. Registration will be limited to first 100 participants. Payment of Registration fees should be made via PayPal link given below. Offline Registration will be available only at the Tourist Complex, Mechukha, one day before the event. During the event the Registration will be closed. Participants are requested to report at Tourist Complex, Mechukha one day before the day of event. Organizers will not hold responsible for any kind of unforeseen incident or loss of personal properties at any point of time. Under no circumstances will the Registration fee be refunded.